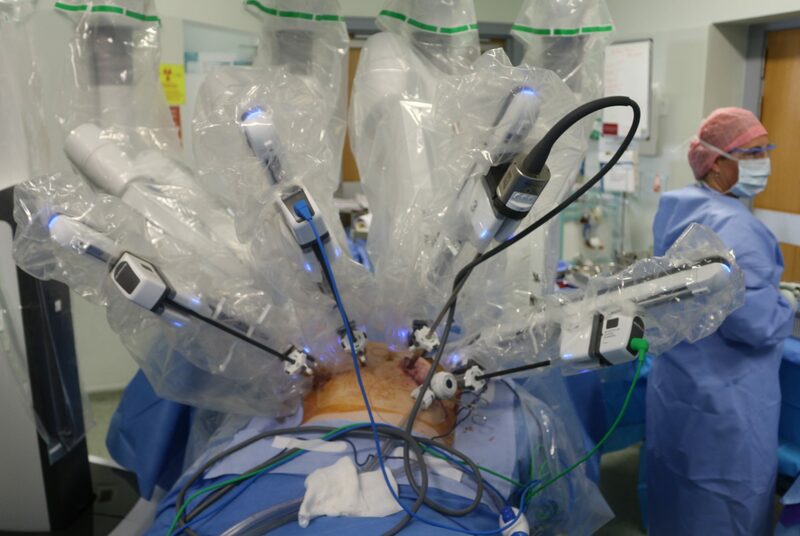 A robot with four arms is now helping to teach trainee surgeons. The Da Vinci Robot, which is being used at University Hospital Limerick, is controlled by a surgeon at a computer console. It has several arms with tiny scissors and pliers, which make incisions in the patient’s abdomen. A spokeswoman said the hospital live-streams the robotic surgical procedures from the operating room to its new clinical education and research centre. In November 2016, it became the first public hospital in Ireland to carry out bowel, kidney and adrenal surgical procedures using the robot. She said in the past year more than 110 of these surgeries, including urological cases, have been performed. The surgeon-controlled instruments are very precise, with no tremor, and can master movements not possible with the human hand.